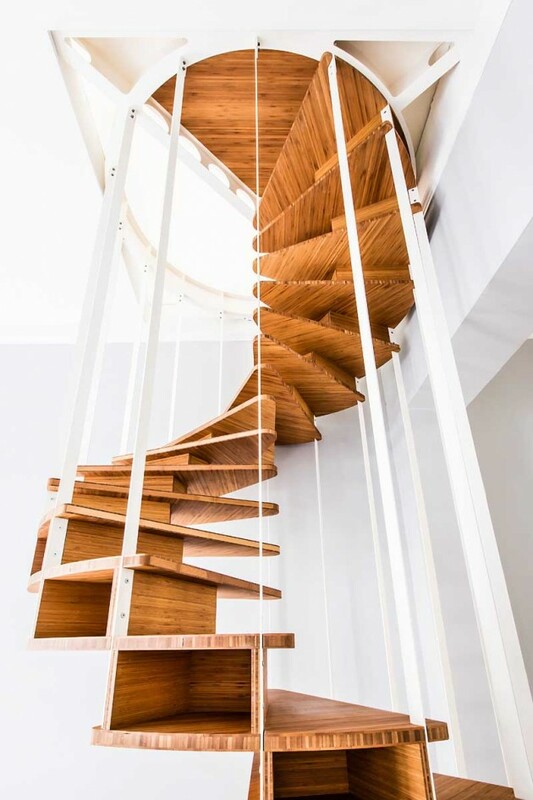 As part of an apartment renovation in Brussels, design firm Jo-a created a central staircase that shows off the helix of the spiral. 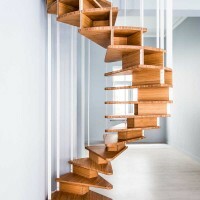 The project is a renovation of an appartment in Brussels. The spiral staircase hangs from the top steel gasket, 4m higher! The interesting part is the absence of central shaft. It gives more space, brings light and you see the spiral form much better. 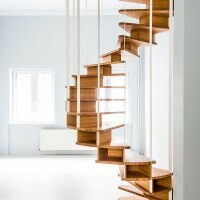 In a traditional building endowed with very high ceilings, the owner wanted to isolate the two floors of this duplex from the communal stairwell. 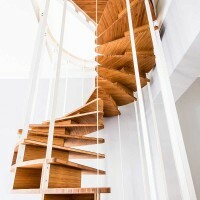 In order to economise the maximum amount of space in the living room, a spiral staircase was the natural choice. Jo-a staircases are designed to measure, to integrate the space perfectly and respond to the architecture and the needs of the inhabitants. 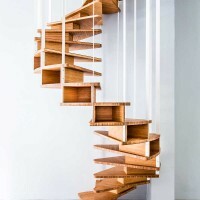 For this project Jo-a studied the diameter, the angle of rotation and the height of the steps to present stairs that are comfortable despite the great height (4 meters!) that has to be scaled. They opted for a diameter of 1m60, allowing comfortable access and limited incline, without taking up too much space in the room. In conversation with the contractor and the owner, they designed a frame that would fit the shaft perfectly. A light guardrail protects the access to the upper landing. The spaces in the corner of the shaft were left open so that the staircase would be lit by the natural light from above. 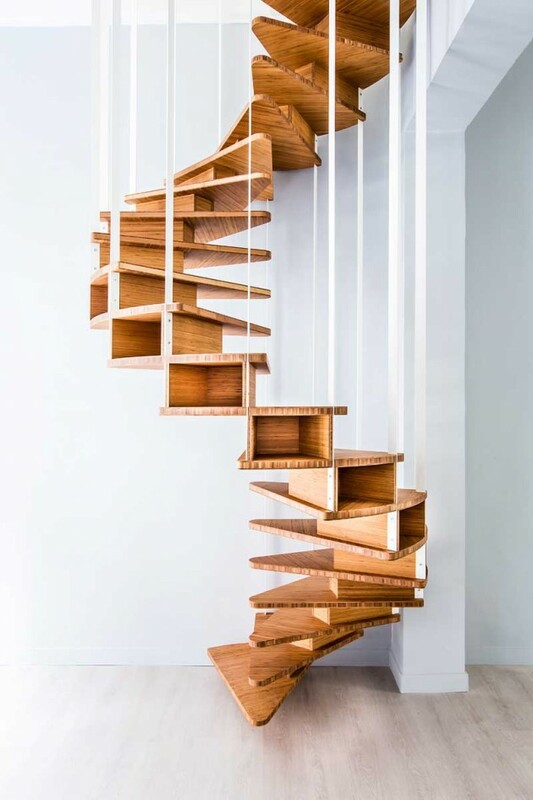 The small cases created by the steps offer clever spaces for placing small decorative objects. 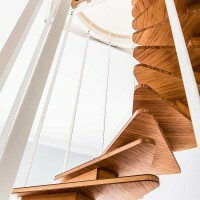 They also guarantee the rigidity of the staircase, which was essential for this particularly high project. 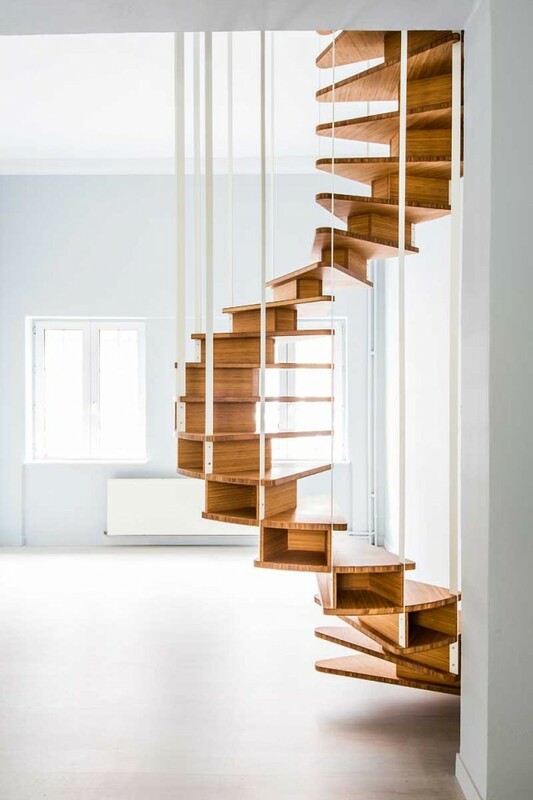 The slim hangings in white steel circumscribe the volume while preserving the staircase’s transparency. 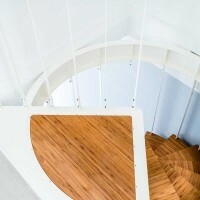 With no central pillar and no floor rest, the large helix of the spiral stands out perfectly. 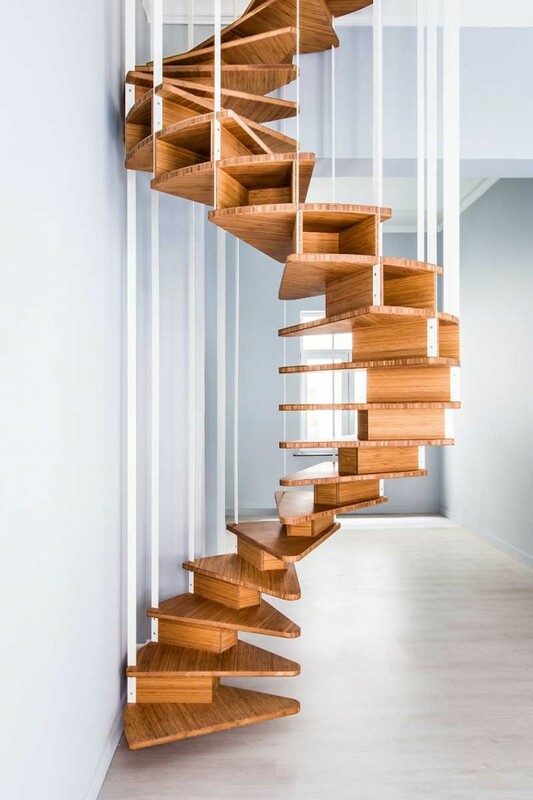 From any position in the room, this staircase goes beyond its purely practical function and becomes a veritable sculpture that gives the apartment a great deal of class.